Are you contemplating an ERP purchase? 82% of companies have already adopted ERP on a global scale however only one fourth of the businesses report satisfaction with their ERP solution. How do you cut through the noise and narrow down your list of potential solutions? 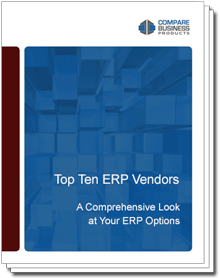 We’ve simplified things for you and have compiled all the information you need in this top ten ERP vendors guide. And last but not the least, detailed information about the top 10 ERP Vendors, by industry, according to Statistica. Download now to gain a complete understanding of the vendor space in the year to come.